The British Ecological Society awards an annual prize to the best paper by an early career researcher in each of the Society’s journals. Journal of Applied Ecology awards the Southwood Prize in memory of Prof. Sir Richard Southwood. The winner is selected by the Editors of Journal of Applied Ecology at the end of each year and an announcement is made early in the New Year following. The Southwood Early Career Researcher Award is given each year to the best paper in the journal by an author at the start of their career. In the absence of extenuating circumstances, ‘Early Career’ is defined as less than 5 years post- Ph.D. or -D.Phil. experience according to the date of your graduation certificate. The winner of the Southwood Prize Early Career Researcher Award will receive £250, membership of the British Ecological Society, a year’s subscription to Journal of Applied Ecology, and a contribution to the costs incurred in attending the BES Annual Meeting in the UK if they wish to give a presentation on their work. The winner is selected by the Editors of Journal of Applied Ecology at the end of each year and an announcement is made early in the New Year following. If the first author of a paper considers that they are eligible for this award they are invited to nominate themselves during the submission process of Manuscript Central. Read the Virtual Issue bringing together the winning and highly commended papers from all the BES journals in 2017. It’s an unfortunate reality that conservation actions are often most needed in locations where they are least wanted. This unhappy correlation can seriously undermine conservation outcomes, making management actions more expensive and less likely to succeed. Nowhere is this more apparent than where conservation scientists reintroduce apex predators into ecosystems. Although some humans who live among predatory wildlife view them with reverence and worship, others treat them with a mixture of fear and antipathy. Apex predator reintroductions have consequently sparked some of the most long-running and vitriolic conflicts in environmental management. The reintroduction of grey wolves within the United States, for instance, has led to lawsuits, illegal poaching and decades of bad blood between conservationists and ranchers. Behr et al.’s article, chosen for the 2017 Southwood Prize, maps a careful path through this difficult socio-ecological challenge. The paper, ‘Combining human acceptance and habitat suitability in a unified socio‐ecological suitability model …’, is based around a case-study of wolf reintroduction in Switzerland. The authors use spatial statistical modelling to create both social and ecological suitability maps for wolves in Switzerland, searching for locations that both satisfy the habitat requirements of the species and which contain human communities that are more likely to accept the presence of wolves in their landscape. The editors liked the rigorous, integrative approach used in this study, combining sociological and ecological data to better understand the observed pattern of wolf recolonisation in Switzerland, and to make recommendations for future management. The paper highlights significant obstacles to large predator recolonisation but also shows how interventions might be targeted to produce cost-effective reductions in human-wildlife conflict. Dominik is studying a PhD in Ecology at University of Zurich in collaboration with the Botswana Predator Conservation Trust. His current research focuses on dispersal and its demographic consequences in the endangered African wild dog. Specifically, he aims to acquire movement data of dispersing individuals, which will be merged with existing data on resident groups in a demographic model to assess population viability. His background lies in engineering, having received a MSc from the Swiss Federal Institute of Technology. Having worked in the private sector for a few years, he decided to return to academia but this time with a different focus. He studied environmental sciences at University of Zurich where he obtained a second MSc. It was during the course of his masters that he conducted the above-mentioned study (Behr, Ozgul and Cozzi 2017), integrating human acceptance and ecological components in a unified framework to better assess suitable wolf habitats in Switzerland. Dominik’s general research interests cover population ecology, movement ecology, biodiversity conservation, and human-wildlife conflict. Despite the warnings of conservation scientists, there is a widely-held and persistent belief that ecosystems are fairly resilient to human disturbance and that they will eventually ‘bounce back’. In their study, Becker and Pollard assessed a region of the Canadian high Arctic that had been disturbed in the 1940s by the construction of a small airstrip. After 5 years of use, the airstrip had been abandoned; consequently, it has had over 60 years to ‘bounce back’ to its original state. Using a carefully-designed, stratified random sampling approach, Becker and Pollard surveyed the vegetation, soil and abiotic characteristics of the former airstrip and neighbouring, undisturbed patches of terrain. They found that, far from bouncing back, the disturbed landscape reflects a disturbance-initiated succession towards a different stable-state community. The study is an excellent example of how carefully-conducted work can expose the long-term effects of human land uses, and also leads to clear management recommendations. In particular, Becker and Pollard were able to advise about how managers can lessen their impact on high Arctic environments, by being sensitive to the micro-topography of disturbed areas and by reseeding those areas with native species. The Editors were impressed with the thorough and careful study design, and with the clarity of the implications for applied ecology. We congratulate Michael on an excellent piece of work by an early career author and wish him every success in his future career. 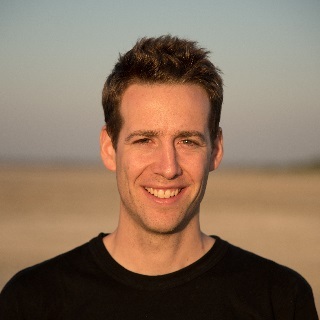 Michael works at the BBC Natural History Unit, developing the Antarctic episode of a landmark wildlife documentary following up the recent Planet Earth II. He is also a visiting researcher at the Center for Macroecology, Evolution, and Climate at the University of Copenhagen. Michael earned his Bachelor of Science degree in Biology at McGill University and spent the next three years working in Antarctic, Arctic and other research programs. For his PhD at McGill University, his work focused on the intersection of geomorphology and ecology in the cold, periglacial environments of the high Arctic. Specifically, he examined how coupled feedbacks between permafrost and plant life adapt and change with a warming world. He is passionate about public outreach and journalism on climate change, landscape impacts, and environmentalism. The paper by Dustin Ranglack and co-authors provides an excellent example of the type of work Journal of Applied Ecology aims to publish and the Senior Editorial team was unanimous in its decision to award the Southwood Prize to Dustin. This interdisciplinary study tackles a clear management issue using adequately designed experimental approaches, contributing to improving our understanding of human–wildlife conflicts in rangelands. Importantly, this case study illustrates the need for science-based management of social–ecological systems in which even long-term resource users might underestimate the complexities of trophic interactions. This paper represents a substantial amount of work and is likely to be very well received by the community. The Editors would like to congratulate Dustin on an excellent piece of work by an early career author and wish him every success in his future career. 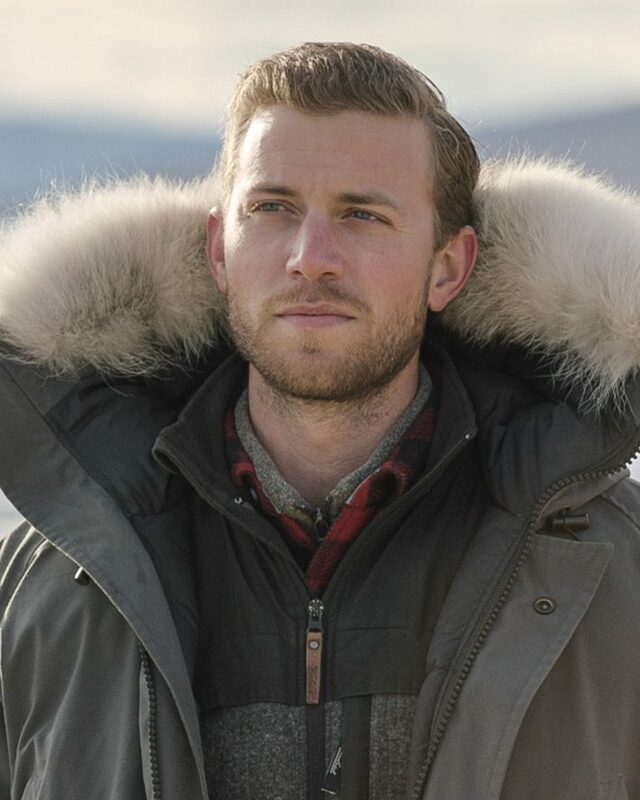 Dustin earned his Bachelor of Science degree in Wildlife Science from Utah State University in 2008. He then spent several years working as a research technician in Montana and Colorado before returning to Utah State University for his PhD studies in Ecology, focusing on American bison ecology and bison–cattle interactions in the Henry Mountains of southern Utah, which he completed in 2014. 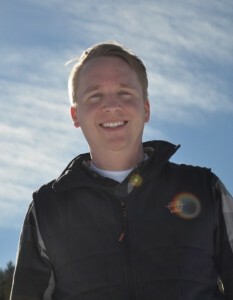 He has since worked as a post-doctoral researcher at Montana State University using spatial ecology to evaluate and inform elk and elk habitat management in western Montana. His research focuses on applied large mammal ecology and conservation, spatial ecology and human–wildlife conflict. The 2014 Southwood Prize has been awarded by the Editors to Katharina Gerstner for her paper Effects of land use on plant diversity – A global meta-analysis co-authored with Carsten Dormann, Anke Stein, Ameur Manceur and Ralf Seppelt (Journal of Applied Ecology, 51: 1690–1700). The paper from Katharina Gerstner and colleagues provides a comprehensive analysis that helps to resolve the debate surrounding human land use and its effects on biodiversity. It has been proven that human land use is a major contributor to the global biodiversity crisis, but this does not seem to be repeated at smaller scales. Much of the current disagreement regarding the impacts of human land use on biodiversity may be due to variability according to region, scale of analysis, and the specific land use being examined. This paper overcomes this issue by directly testing the effects of these factors using a meta-analytic framework and a global dataset extracted from 375 studies. The careful analyses of the contexts in which land use impacts on biodiversity provides a useful template for the study of important emerging questions. This paper represents a substantial amount of work on a key topic that is likely to be very well cited. The impacts of land-use change on biodiversity are known to be scale-dependent and vary according to a wide range of factors. This paper provides an overview that reports the negative impacts of changes in land use for plants, but crucially highlights the context-dependent sensitivities that point the way for further work in a clear manner. The Editors would like to congratulate Katharina on an excellent piece of work by an early career author and wish Katharina every success in her future career. Katharina is currently finalising her PhD studies at the Helmholtz-Centre of Environmental Research (UFZ) in Leipzig. Her research focuses on investigating the effects of land use on global biodiversity patterns of vascular plants. 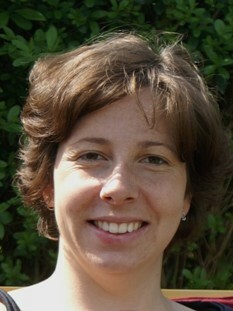 She uses the countryside model to study species-area relationships and at the global level she finds research syntheses such as meta-analyses particularly helpful. Her background is in mathematics, having received a diploma in Mathematics at University of Jena, Germany and she is broadly interested in the application of sophisticated statistical methods for ecological problem-solving. 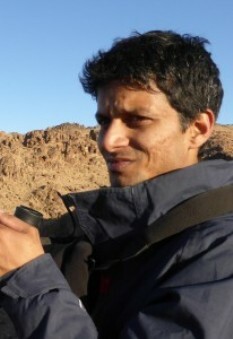 The 2013 Southwood Prize has been awarded by the Editors to Kulbhushansingh Suryawanshi for his paper People, predators and perceptions: patterns of livestock depredation by snow leopards and wolves published with Yash Veer Bhatnagar, Stephen Redpath and Charudutt Mishra (Journal of Applied Ecology, Volume 50, issue 3, pp. 550-560). Kulbhushansingh Suryawanshi’s paper combines robust social science with cutting edge ecological research to generate novel insights with direct lessons for management of human-wildlife interactions. Papers that contain each of these four components areas are still very rare and are exactly the type of research that the Journal of Applied Ecology aims to promote. The paper compared people’s perceptions of the risk factors for predation by snow leopards and wolves on their livestock with data on actual predation incidents. The research also involved the authors in substantial ecological fieldwork to estimate wild prey numbers. Fascinatingly, the correlates of people’s perceptions of risk were not the same as those of actual predation mortality. The paper’s findings call into question the suggestion that snow leopard killing of livestock would reduce if wild prey numbers were increased, and suggest that work is needed better to align perceived and actual risk and to engage better with people about how best to address carnivore depredation of their livestock. There is a lot of literature on human-wildlife conflict, but the careful and thorough interdisciplinary approach taken to the issue by Dr Suryawanshi and his colleagues is still far too rare. The Editors congratulate him on his excellent paper. Kulbhushan is currently working as a Regional Ecologist with the Snow Leopard Trust, Seattle, US and as a Research Scholar with the Nature Conservation Foundation (NCF), Mysore, India. For his PhD with the NCF, he worked on the impact of wild-prey availability on the population and diet of the snow leopard (Panthera uncia) with implications for livestock predation by this endangered carnivore. He is interested in the application of science-based problem solving to conservation conflicts. He is also interested in the applications of Population and Behavioural Ecology to species conservation. Understanding the effect of reserve connectivity on mobile organisms and how this influences ecosystem function is vital for effective reserve management. The editors were impressed by this well-conducted experimental study by Olds et al. which addressed a highly important question in applied ecology. The study was able to produce specific management recommendations for improving ecosystem resilience. Olds et al. linked processes at both the landscape and local scales, taking an ecosystem approach to habitat management. Andrew is a Research Fellow in the Coast and Estuaries section of the Australian Rivers Institute and School of Environment at Griffith University in Queensland. In his PhD at Griffith University (2013), he examined the effects of connectivity on marine reserve performance across the western Pacific Ocean. 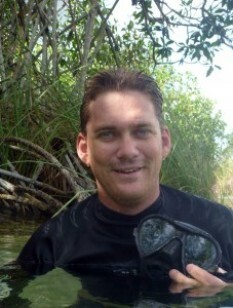 Andrew worked previously as an environmental consultant and a conservation practitioner. His research focuses on marine community ecology, seascape ecology, conservation planning and the impacts of global change on marine ecosystems. Current projects continue to examine the effects of marine reserves on ecological processes, ecosystem services and socio-ecological resilience in tropical Australian and Pacific seascapes. 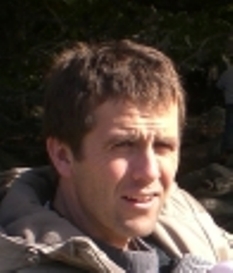 The 2011 Southwood Prize has been awarded by the editors to Nicholas Beeton for his paper with Hamish McCallum Models predict that culling is not a feasible strategy to prevent extinction of Tasmanian devils from facial tumour disease (Journal of Applied Ecology, Volume 48 issue 6, pp.1315-1323). The Tasmanian devil Sarcophilus harrisii is currently threatened by the infectious cancer Devil Facial Tumour Disease (or DFTD). The disease has affected the devil population to the point where the species is now endangered. Beeton and McCallum use a suite of mathematical models to investigate the effectiveness of culling of infected devils as a tool to control DFTD. Though they found that more regular removal was more likely to be effective, their main conclusion was that the removal rate necessary to successfully eliminate disease may be too high to be achievable. This research demonstrates the importance of modelling in gauging the appropriateness of management actions, and suggests that culling is only appropriate for controlling wildlife diseases in a limited set of conditions. Nicholas is currently finalising his Ph.D. in Zoology at the University of Tasmania, studying the Tasmanian devil and DFTD from a modelling perspective. This includes the above study (Beeton and McCallum 2011), predicting spatial patterns of abundance, modelling the spatial spread of the disease, and estimating model parameters using novel techniques. 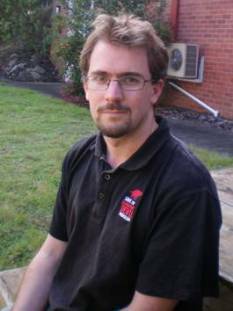 His background is in Applied Mathematics, having received his BSc (Hons) in Advanced Mathematics from the University of Sydney with a thesis studying nonlinear dynamics in biomedical ultrasound. He has a broad interest in applied problem-solving, having also completed various mathematics- and physics-based research projects as an undergraduate, including studying photonic crystals in a butterfly wing, modelling magnetic fields in the solar corona, and helping to design terahertz-frequency detectors. Nicholas is a worthy recipient of the Southwood Prize for 2011 and we wish him every success in his future career. For the 2010 publication year, the editors are pleased to award this prize to Stephanie O’Donnell for her co-paper with Jonathan Webb and Richard Shine ‘Conditioned taste aversion enhances the survival of an endangered predator imperilled by a toxic invader’ (Journal of Applied Ecology, Volume 47, pp.558-565). The post-colonization history of Australia has been one of repeated extinctions due, in large part, to the fact that imported non-indigenous species seem to have a disproportionately large impact on the native biota. Currently, cane toads Bufo marinus are spreading rapidly across Australia and, due to their toxicity, have been the cause of a multitude of population declines in predators. O’Donnell and co-authors use conditioned taste aversion (CTA) as a tool to make predators wary of cane toads. In a clever experiment, the researchers laced dead toads with a nausea-inducing chemical and fed them to a subset of male northern quolls Dasyurus hallucatus -a predator rapidly declining in the presence of the toads. Upon release, toad-averse quolls had much higher survival than toad-naive ones. This research shows that in situations where stopping an invasion is impossible, management activities can focus instead on altering the behaviour of native animals, thus reducing the immediate risk of extinction. During her two years in the Shine lab, Stephanie was based in northern Australia where she worked closely with a captive breeding programme for the endangered northern quoll. Her work with captive-bred animals was focused on refining the CTA technique for training quolls to avoid toads as prey, with the ultimate aim of producing a bait for training wild populations of quolls. Stephanie was also involved with the longer-term monitoring of released ‘toad smart’ quolls into areas of Kakadu National Park. This work has produced some exciting results. Most encouragingly, some toad-trained female quolls have survived for 12 months in the field, and have successfully raised litters of young. This ongoing collaborative project involves a team from the University of Sydney, the Territory Wildlife Park, and Kakadu National Park, and is funded by the Australian Research Council. After completing her honours and research assistant role with the Shine lab., Stephanie joined an environmental consultancy specialising in the forest carbon sector. She works on projects to prevent the logging of native forests, thereby avoiding significant carbon emissions from deforestation. These projects also yield immense benefits for conserving biodiversity, maintaining ecosystem services and both generating and diversifying income for local communities that traditionally depend on timber harvests. Stephanie is particularly responsible for carbon modelling and vegetation stratification, although she has the opportunity to contribute to each stage of a project’s development. She is thoroughly enjoying working in such a dynamic and cutting-edge field, particularly the fact that the environmental benefits of these projects are immediately evident. The 2009 Southwood Prize is awarded to Christian Keribiriou for his co-paper ‘Tourism in protected areas can threaten wild populations: from individual response to population viability of the chough Pyrrhocorax pyrrhocorax‘ (Journal of Applied Ecology, Volume 46, pp. 657-665). The paper combines careful observation with stochastic modelling to demonstrate that relatively minor disturbance from tourism has dramatic effects on population viability, even when breeding individuals are not directly affected. In addition to its important contribution to protected area management, the paper demonstrates that the full impact of tourism may be overlooked, with direct consequences for the assessment of sustainable levels of human disturbance in national parks, nature reserves and other protected areas. Few studies have quantified the link between ultimate factors of species decline, stochastic processes and extinction risk for a given population or species. By demonstrating how tourism pressure is related both to individual response and population dynamics in an endangered species, this study takes a significant step forward. Christian Keribiriou worked as a conservation practitioner in the National Regional Park of Amorique in France where he was involved in monitoring and survey work, and raising public awareness of environmental issues. During this time, he completed his PhD with the Museum of Paris on the population viability of chough on the protected island of Ouessant off the west coast of Brittany, France. He went on to do postdoctoral research working on the development of a national biodiversity monitoring scheme, focusing particularly on bat monitoring. In June 2009, he moved to a permanent position as a Lecturer at Paris University where he teaches ecology and statistics. His research continues to focus on population viability analyses through interdisciplinary approaches. Christian is a worthy recipient of the Southwood Prize for 2009 and we wish him every success in his academic career. The 2008 Southwood Prize is awarded jointly to Tiziana Lembo and Katie Hampson for their paper ‘Exploring reservoir dynamics: a case study of rabies in the Serengeti Ecosystem’ ( Journal of Applied Ecology, Volume 45, pp. 1246–1257). The paper combines long-term data and modelling to demonstrate that the reservoir for rabies in the Serengeti is a multi-host community where domestic dogs are the only population necessary for persistence but wild carnivores contribute as non-maintenance populations. In addition to making a significant contribution to understanding the dynamics of multi-host diseases, the work has also had a major impact on management policy, suggesting that control strategies that target domestic dogs should have the greatest impact on reducing risk of infection to humans, livestock and wildlife. The paper is exemplary in combining academic rigour with management relevance and the authors are worthy joint recipients of the 2008 Southwood Prize. Tiziana Lembo’s PhD, based at the University of Edinburgh, focussed on the identification of reservoirs for rabies and canine distemper virus in the Serengeti. The study posed several major challenges relating to the complex and elusive problem of reservoir identification for pathogens infecting multiple host species, which Tiziana successfully addressed using a suite of phylogenetic and epidemiological approaches. Tiziana followed her PhD with a BBSRC fellowship on bovine tuberculosis in Tanzania, and currently holds a joint position as a post-doctoral fellow at Lincoln Park Zoo (USA) and the University of Glasgow. Katie Hampson’s PhD from Princeton University focussed on understanding the transmission dynamics of rabies in the Serengeti. During this study, she pioneered the use of contact-tracing methodology and applied a range of quantitative methods for elucidating the epidemiology of rabies, generating invaluable information on the infection parameters and transmission patterns of rabies in domestic animals, human, and wildlife hosts. Katie has developed these approaches further as part of her post-doctoral fellowship from the Wellcome Trust which is currently held at the University of Sheffield. The Journal of Applied Ecology published a number of excellent papers by young authors during 2008 and we should also like to mention the contribution from Lian Pin Koh entitled ‘Can oil palm plantations be made more hospitable for forest butterflies and birds?’ (Journal of Applied Ecology, Vol. 45, pp. 1002–1009). The Editors thought this was a very important and timely contribution from a young author and offer their congratulations for a well-executed piece of work. The 2007 Southwood Prize is awarded to Jonathan N. Pauli for his co-paper with Steven W. Buskirk ‘Risk-disturbance overrides density dependence in a hunted colonial rodent, the black-tailed prairie dog Cynomys ludovicianus‘ (Journal of Applied Ecology, Volume 44, pp. 1219-1230). This paper is exemplary in its use of a carefully designed empirical study to address an important issue in applied ecology, within a very clear theoretical framework. In the review process it was identified as extremely well written, with clear management relevance and as making a strong contribution to general theory about the effects of hunting disturbance on colonial species. The study results were very interesting, demonstrating the importance of indirect effects of hunting on vital rates, and showing that these effects (principally reduced fecundity in succeeding years) swamped any potential positive compensatory effect of hunting on population growth rate. Jonathan Pauli is a very worthy recipient of the Southwood prize for 2007, and we congratulate him on this excellent piece of work. Jonathan is currently a Ph.D. candidate in Ecology at the University of Wyoming. For his dissertation research, he is investigating the population dynamics, structure, and dispersal capabilities of American martens on islands off northwestern North America. He received his MSc in Zoology and Physiology from the University of Wyoming, where he studied the effects of plague and recreational shooting on black-tailed prairie dog biology. He received his BSc at the University of Wisconsin-Stevens Point. Like what we stand for? Support our mission and help develop the next generation of ecologists by donating to the British Ecological Society.